Occupational therapy sounds like something your mother might make you do if she suspects you won't make it through college. "Sign up for that Occupational Therapy and maybe they'll come up with an Occupation you can do." A good Occupational Therapist can be a godsend to kids with issues. But even a basic working knowledge of OT is helpful for anyone working with children. It's especially useful for working with kids with sensory processing issues. The autism community has done us a great service by putting information in our hands that helps all children, neurotypical kids and less typical ones. The longer I teach, the less I believe there even is such a thing as a neurotypical kid. 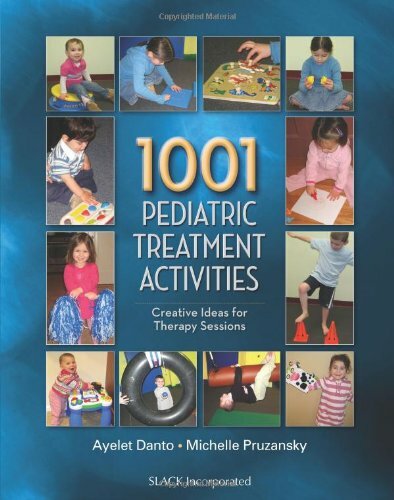 1001 Pediatric Treatment Activities: Creative Ideas for Therapy Sessions doesn't look as zippy as some of the other books, but is extremely useful. It has 50 pages of basic information in the "Look Inside" preview. It includes a wide varieties of suggestions for activities that may help you focus and settle down a child with these issues. The preview section in Early Intervention Games will help you understand the different kinds of challenges kids face as they go through their days. 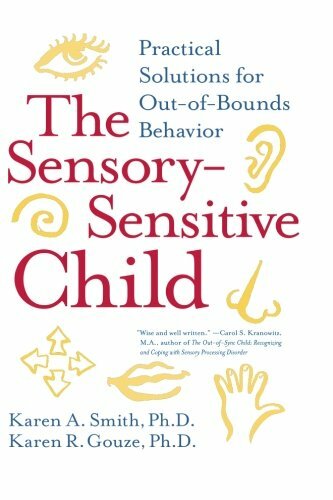 "Sensory processing is the ability of the brain to correctly integrate information brought in by the senses. The information we take in through the senses of touch, movement, smell, taste, vision, and hearing are combined with prior information, memories and knowledge already stored in the brain to make sense of our world. In people without Sensory Processing Disorders, all the sensory input from the environment and the all the input from our bodies work together seamlessly so we know what's going on and what to do. Without conscious effort, we are filtering out sensations that are not important." What follows is a clear description of the ways in which this integration can go wrong, and ways in which we can help it work better. 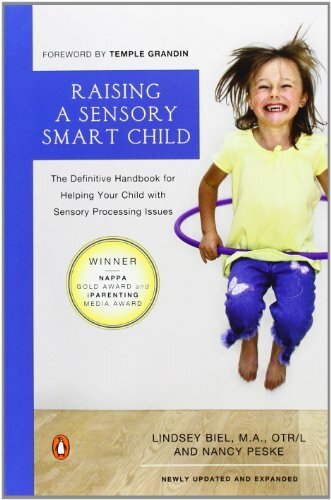 Raising a Sensory Smart Child: The Definitive Handbook for Helping Your Child with Sensory Processing Disorders is written in the contemporary style of recent parenting books. 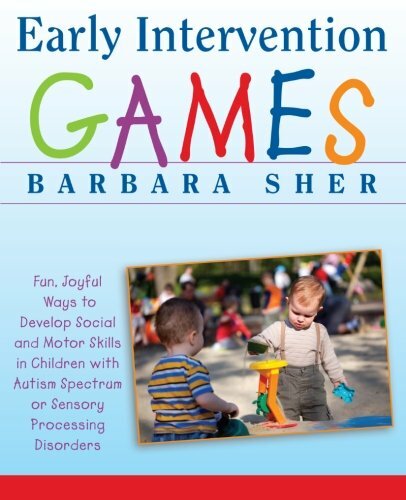 This one is co-written by an occupational therapist and the parent of a child with sensory issues, so it offers both therapeutic and emotional support and information. 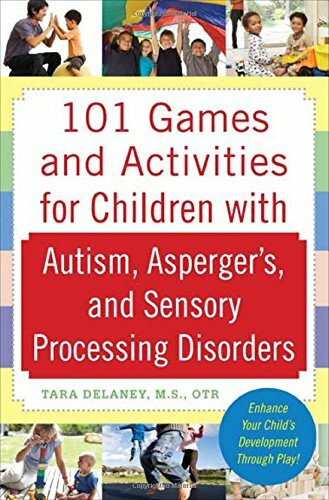 I found the introduction of 101 Games and Activities for Children moving and heartwarming. Don't be put off by the labels - Autism, Asperger's, Sensory Processing and even "Disorder". They are all just ways of describing the children you already know, or will soon meet in your life as a teacher, parent, or friend. We all have characteristics of these diagnoses. Every last one of us. Educate yourself. Take advantage of the information available. Make yourself a better, less frustrated teacher. 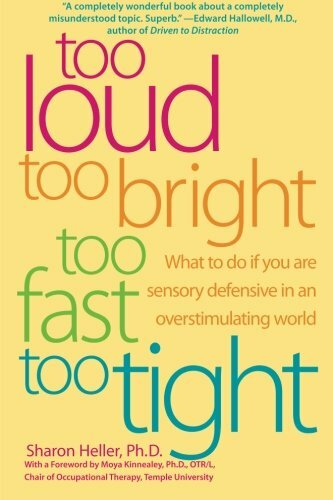 For readers outside the United States, books like Too Loud, Too Bright, Too Fast, Too Tight are also available from Book Depository. The "look inside" features (accessible for free) on Amazon are much better than anything Book Depository has online. However, Book Depository has free shipping and sometimes lower prices, so it's worth checking them out even if you're in the states.